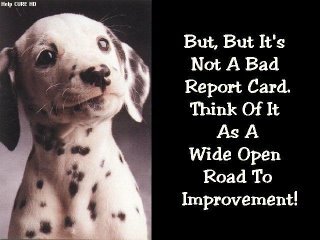 Review your real estate agent’s report card before you hire them. Home buyers and sellers can now rate and review the performance of their real estate agent at www.realtyrators.com. The site, which is free to all visitors, features a directory that includes 85% of the Realtors across the county. Consumers rate their agent based upon 9 qualities: professionalism, responsiveness, availability, accountablility, knowledgeable, attentiveness, personality, salesmanship and marketing. Visitors are also encouraged to leave and read comments about their agent, along with their ranking. Another website in this space is AgentRank offered by Realty Baron. Their system calculates a number of factors including, consumer feedback, experience and recent sales data. According to the site, agents with a higher ranking should be able to command higher commissions. It’s elementary. Consumers pay billons of dollars a year in commissions to their agents, ratings and satisifaction reports about the service they received is long over due. Accountability and performance based ratings work to increase professionalism in any industry. As far as the home selling and buying public is concerned, everyone may rest a little easier, knowing whether our Realtor earned an A or deserved an F.
This entry was posted on Friday, December 2nd, 2005 at 12:00 am	and is filed under Uncategorized. You can follow any responses to this entry through the RSS 2.0 feed. Responses are currently closed, but you can trackback from your own site.